Eucalyptus Oil is derived from the leaves of the Eucalyptus Tree, which is a tall evergreen tree with long and glossy green leaves. Other popular names for this tree include Blue Mallee, Blue Gum Tree, and Fever Tree. For centuries, dried Eucalyptus leaves have been used as a flavouring agent in teas and food, while the oil has been recognized and used for its medicinal and health benefits. Eucalyptus is native to Australia, which is one of the main reasons why Australia is one of the largest sources of this essential oil. Eucalyptus Oil also blends well with many other essential oils such as Thyme, Rosemary, Cedarwood, Lavender, Frankincense, and Marjoram. The oil and the leaves of the Eucalyptus tree contain Eucalyptol and Cineole, which are two active ingredients that have been recognized as having a number of medicinal benefits. Recent research suggests that Eucalyptus Oil has antibacterial, antimicrobial, anti-inflammatory, antiseptic, analgesic, decongestant, expectorant, stimulating, and deodorant activity. For this reason, it is often used in many commercial products including rash creams, mouthwashes, toothpastes, cough drops, decongestant rubs and inhalers, lozenges, and even cosmetics, perfumes, and aromatherapy products. Due to its antiseptic and antibacterial properties, it is also often used in dental products such as root canal fillers and sealers. Eucalyptus Oil is known for its expectorant, decongestant, anti-inflammatory, antibacterial and antiviral activity. A few studies have found that the Eucalyptol component in Eucalyptus Oil may help break up and clear mucous from the lungs. Research has also found that using Eucalyptus Oil for respiratory problems such as sinusitis, whooping cough, bronchitis, colds, and nasal congestion may help speed up the healing process. A simple remedy for respiratory conditions is to massage a few drops of Eucalyptus Oil onto the chest, back and throat two to three times daily. For sensitive skin, dilute 3-4 drops of Eucalyptus Oil in half teaspoon of Olive Oil before application. You can also diffuse the oil around the house and inhale the Eucalyptus Oil vapours to help with congestion and to make breathing more comfortable. This can be accomplished by mixing 3-4 drops into a small pot of boiling water and then inhaling the vapours. For a sore throat, mix 3-4 drops of Eucalyptus Oil into a warm cup of water and gargle 4-5 times until relieved. Eucalyptus Oil has been found to provide a cooling and refreshing sensation. Therefore, it can be used to lower body temperature to help bring a fever down. This is why the Eucalyptus Tree is sometimes referred to as the Fever Tree and its oil is called Fever Oil. For a simple fever remedy, a mix of equal parts Peppermint Oil and Eucalyptus Oil can be sprayed onto the body. For sensitive skin, the mix can be diluted in Olive Oil or water. The anti-inflammatory, vasodilating (blood vessel widening), and soothing properties of Eucalyptus Oil have been found to help treat symptoms of asthma. Studies suggest that massaging one to three drops of Eucalyptus Oil over the chest and throat may help dilate the blood vessels and airways in that vicinity and allow more oxygen into the lungs, resulting in more comfortable breathing during an asthma attack. Also diffusing Eucalyptus Oil into a room can help keep an asthma sufferer calm and relaxed. This can be accomplished by mixing 3-4 drops of the oil into a pot of boiling water and inhaling the vapours or letting the vapours diffuse the air. Due to the antibacterial and germicidal activity of Eucalyptus Oil, it is often used in the treatment of dental infections, toothaches, cavities, gingivitis, and dental plaque. For a simple toothache remedy, dip a cotton swab in the oil and apply it directly on the affected tooth every few hours. For improved overall dental health and hygiene, simply adding a drop of Eucalyptus Oil onto the toothbrush before brushing or adding one drop into your daily mouthwash may be beneficial. Eucalyptus Oil has antiseptic and antimicrobial properties. Therefore, it can be very effective against skin infections such as acne. It may not only soothe the irritated skin but may also inhibit further growth of microbes and infections in the affected area. A simple remedy to treat acne, abrasions, burns, cuts, wounds, skin ulcers, sores, insect bites and rashes is to add 4-5 drops into a teaspoon of olive oil and apply it on the affected skin. Studies have found that the anti-inflammatory, analgesic and anti-viral activity of Eucalyptus Oil can help relieve the discomfort caused by Shingles. An effective remedy is to massage diluted Eucalyptus Oil onto the affected areas of skin once per day. Alternatively, adding 10-15 drops of the oil into a warm bath and then soaking in the water for 15 minutes may help reduce discomfort. Since Eucalyptus Oil has anti-inflammatory and analgesic properties, it may help with stiff muscles, sprained tendons or ligaments, rheumatoid arthritis, over exercised muscles and general aches and pains. Simply massaging diluted Eucalyptus Oil in a circular motion onto the affected areas of the body may help alleviate many of these forms of discomfort. Eucalyptus Oil is considered to be a natural insect and bug repellent as well as a natural pesticide. Therefore, it can be used as an effective solution for Head Lice. A simple and safe home remedy to get rid of Head Lice is to rub a few drops of Eucalyptus Oil into the hair and scalp one hour before taking a shower every day until the desired results are achieved. When washing the hair, keep the eyes closed to prevent Eucalyptus Oil from going into the eyes. Eucalyptus Oil is considered to be a stimulant and vasodilator. Therefore, it may help relax the blood vessels and stimulate and increase blood flow to the brain. Healthy blood flow to the brain rejuvenates the whole body and promotes happy and active behavior. Therefore, diffusing Eucalyptus Oil 10-15 minutes daily into the room may help with depression, stress, confusion, mental exhaustion, fatigue, sluggishness and cognitive disorders. What are the Side Effects of Eucalyptus Oil? Eucalyptus does not have any known adverse side effects if consumed and applied in moderation. However, people with sensitive skin may suffer from irritation if Eucalyptus Oil is applied in its undiluted form. Therefore, it is recommended to test Eucalyptus Oil on a small area of skin before using it on a regular basis to see if there is any sensitivity. 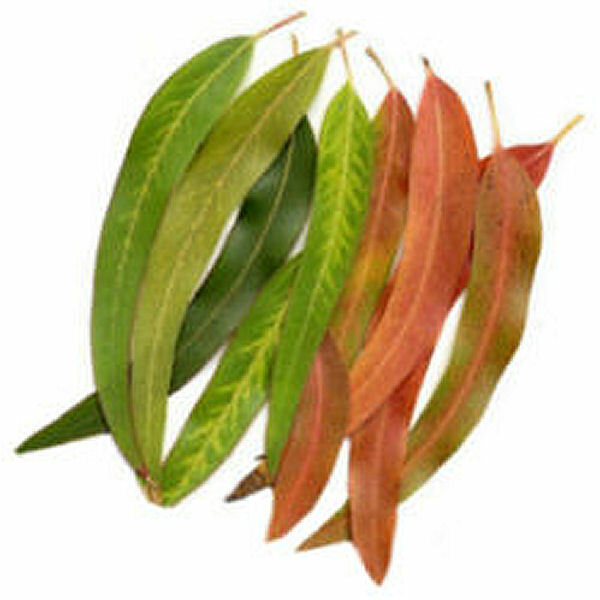 Eucalyptus leaves can be consumed in very small amounts as a flavouring agent in teas and foods. However, internal consumption of pure Eucalyptus Oil should be carefully monitored because it can be toxic for adults if more than .05 ml - 0.5 ml/per kilogram of body weight is consumed. Internal use of Eucalyptus Oil for children, pregnant women, or breastfeeding women is not recommended. Eucalyptus Oil can be purchased from most herbal and natural food stores, as well as online (see below). When buying, check that the oil contains at least 70% Cineole content. A higher Cineole content usually indicates a higher quality oil. Most Eucalyptus Oil comes from the Eucalyptus Globulus tree, but oil derived from the Eucalyptus Kochii and Eucalyptus Polybractea trees contain higher concentrations (80-95%) of the Cineole component. Treat this common breathing problem with some natural remedies. @Lety - For Asthma, adding 3-4 drops of Eucalyptus oil to about 4 cups of boiling water and inhaling the vapours may help. And for muscle and joint pain, depending on the sensitivity levels of your skin, a 1/4 tsp of Eucalyptus oil to 1 tsp of olive oil ratio may relieve the discomfort. However, it is recommended to test a small amount of the mixture on a small area of the skin first and reduce or increase the amount of Eucalyptus oil according to your sensitivity levels. Hope it helps! Thank you for sharing your remedies using eucalyptus oil. How much water do you recommend in the pot for the 3-4 drops of oil to relieve asthma? For muscle and joint pain, how much olive oil do I use to dilute the Eucalyptus Oil? Thank you.